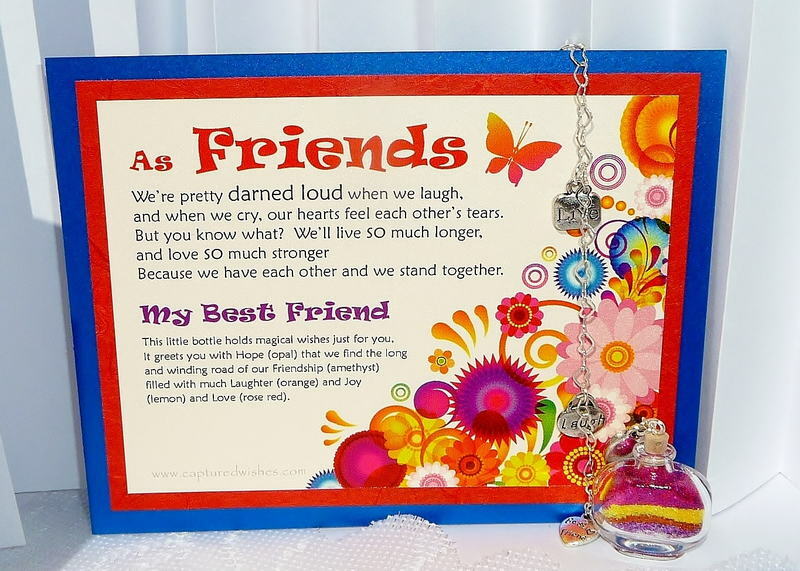 Darned Loud (My Best) Friend: a Great Choice of Personalized Friendship Gifts! The search for personalized friendship gifts is not an easy one. It can be darned hard to put friendship into words because after all is said and done, what DOES your BFF mean to you? If your relationship with your best friend is anything like ours, then you can get pretty darned loud when you're together! That's what inspired Darned Loud (My Best) Friend from Captured Wishes. Friends come and friends go -- but BEST friends are for life! So when you really what to sum up exactly what that friend means to you, it can be quite the quest to find the perfect gift. Here's the trick. Captured Wishes has the answer and has created the perfect personalized gift to give to your favorite friend in all the world! If you think your BFF is pretty darned loud when you're having fun together, wait until you hear their reaction upon opening this amazing gift. They will scream and give you the biggest hug EVER! Our company's philosophy is based on helping you to make your loved ones understand just how you feel. Leave your BFF in no doubt about how special they are to you with this all-in-one, unique and pretty gift idea. The wish vessel (25mm height including cork x 30mm wide) contains carefully layered Fairy Dust, explained right in the verse on the card. Your BFF can hang their gift in a window or any place they deem special and get inspired by its beauty every day as they are reminded just how much they mean to you.